Wine Ornellaia 2015 - Royal Wine Merchants - Happy to Offer! 98 points Antonio Galloni - The 2015 Ornellaia is a dream wine with magnificent balance. All the elements are in the right place. In most vintages, Ornellaia needs time to fully come together, but the 2015 is just impeccable, even in the early going. 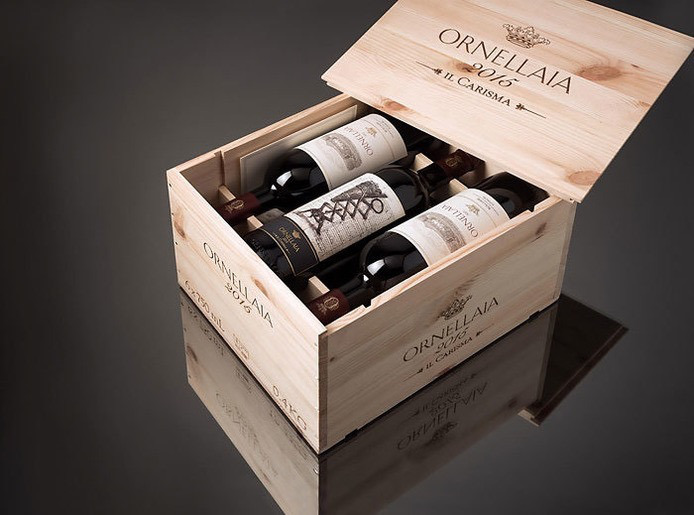 The warm vintage notwithstanding, winemaker Axel Heinz crafted and Ornellaia is more about finesse and power. The potent, bruising tannins Ornellaia can show as a young wine are nowhere to be found. Bright raspberry jam, mint, white flowers and pomegranate are some of the many notes that punctuate the finish in a memorable Ornellaia that will go down among the great vintages produced at this reference-point estate.